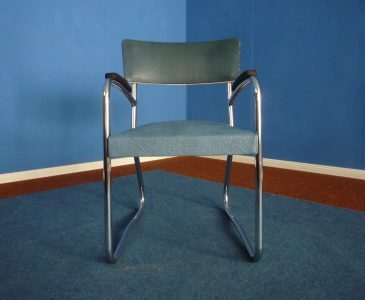 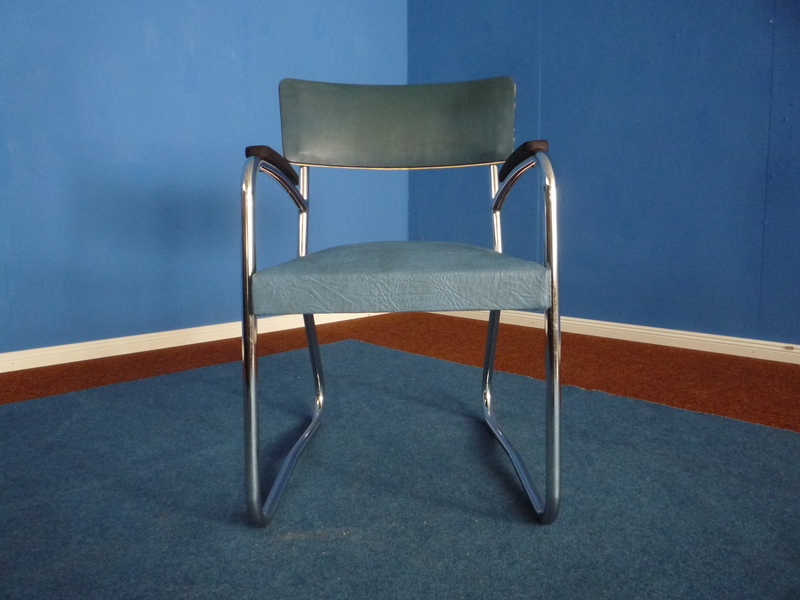 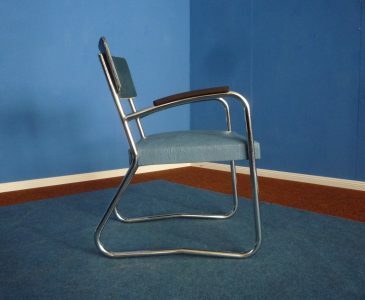 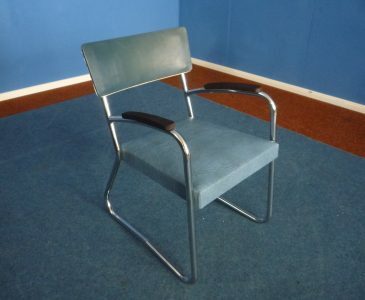 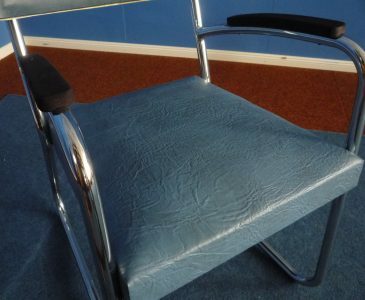 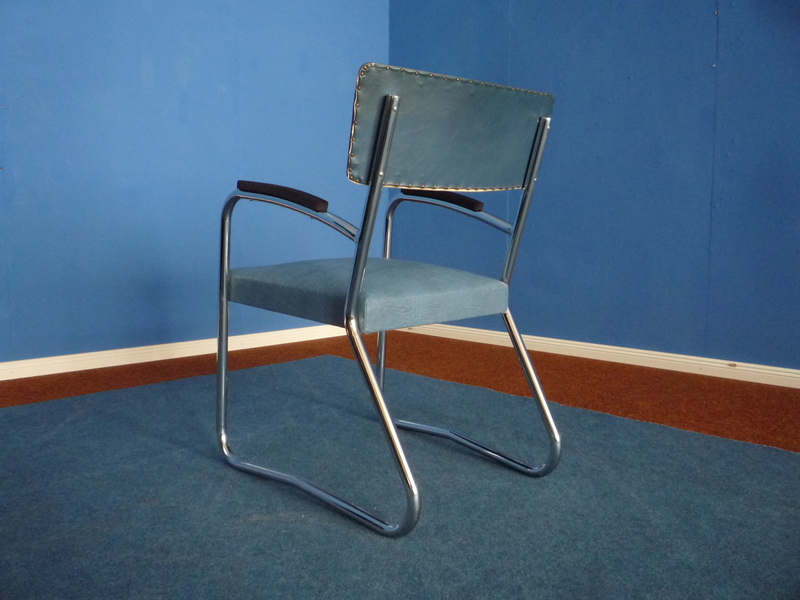 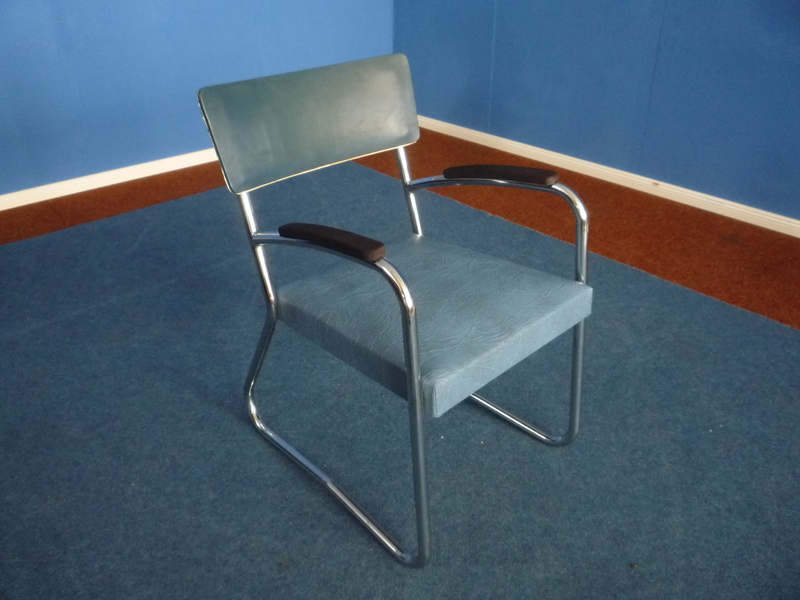 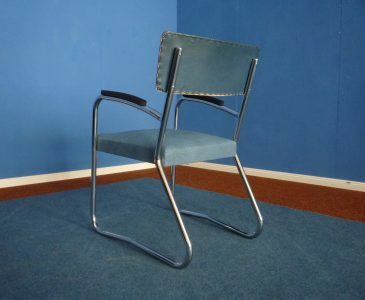 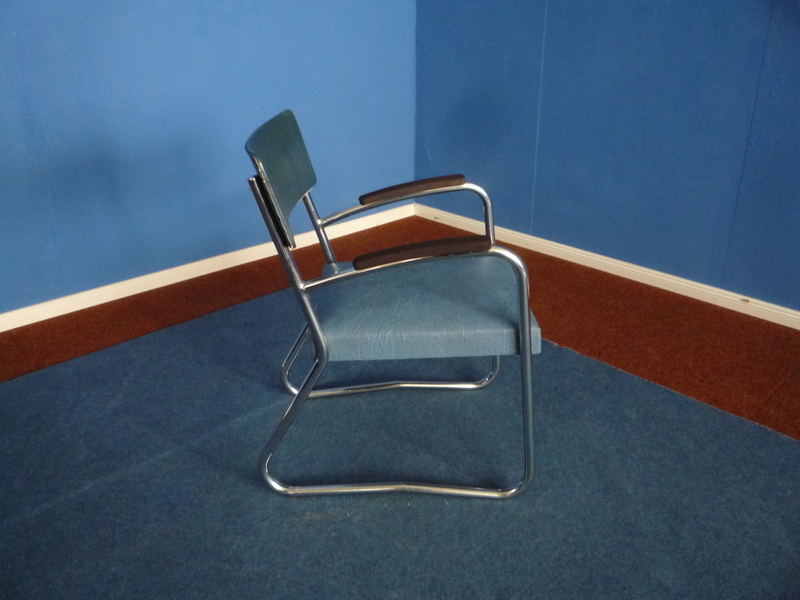 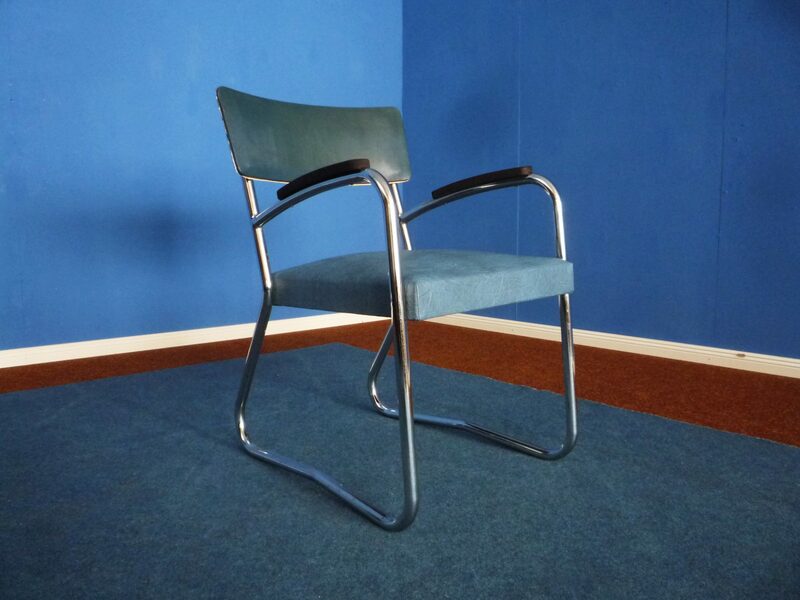 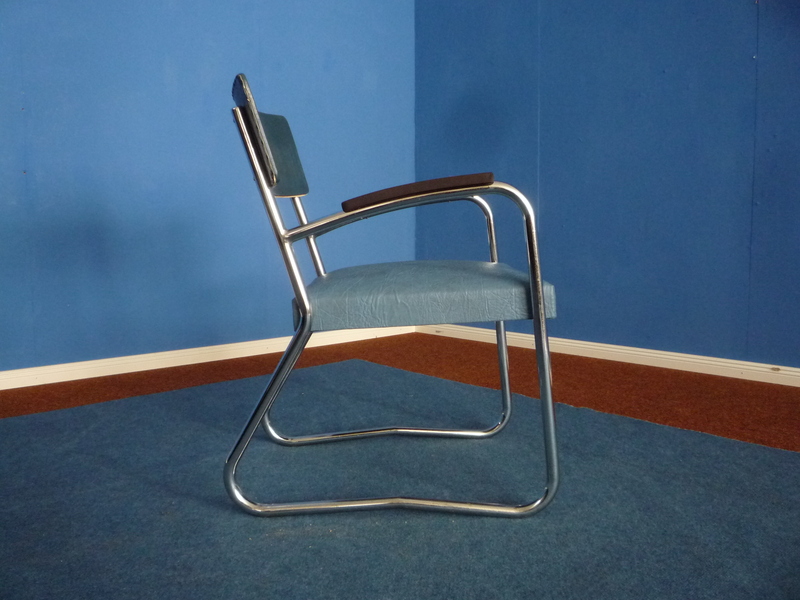 Beautiful and rare tubular steel chair. 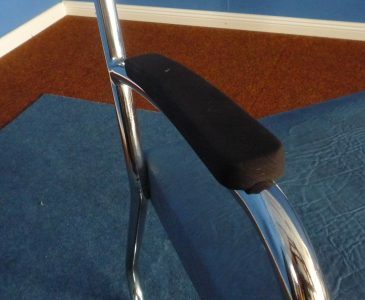 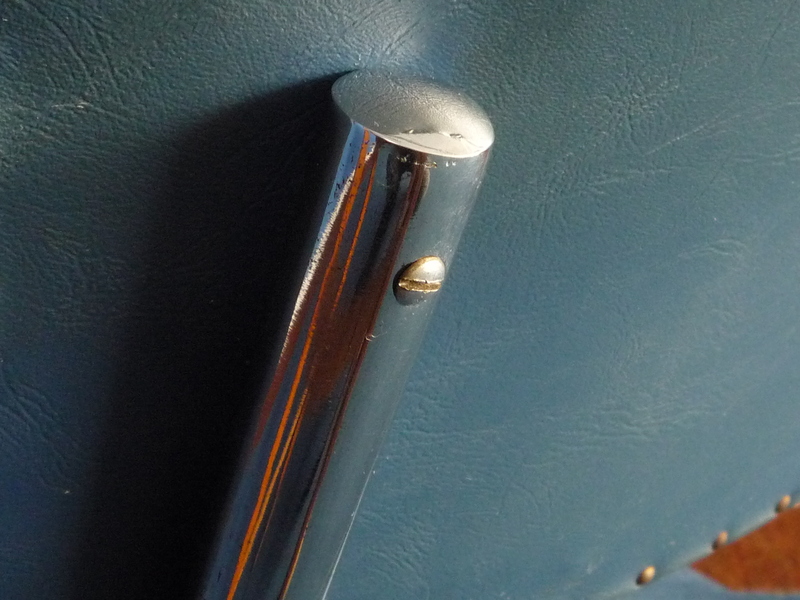 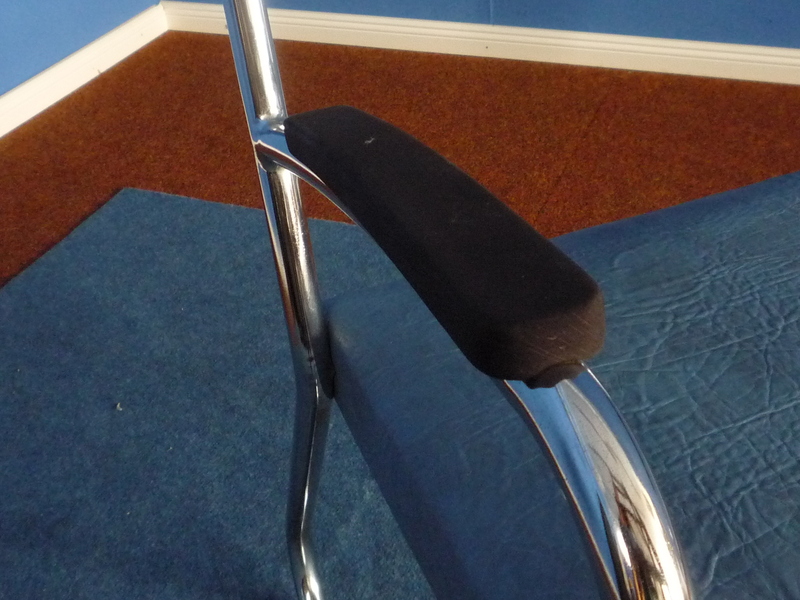 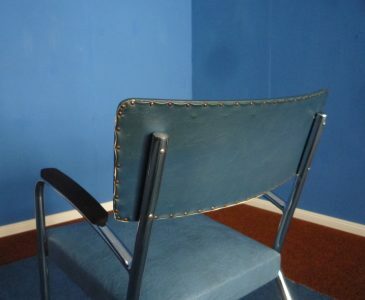 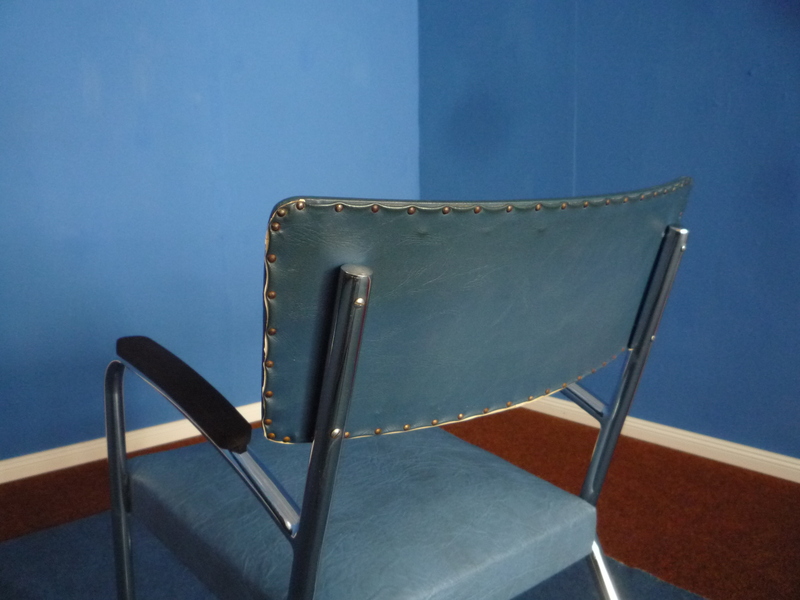 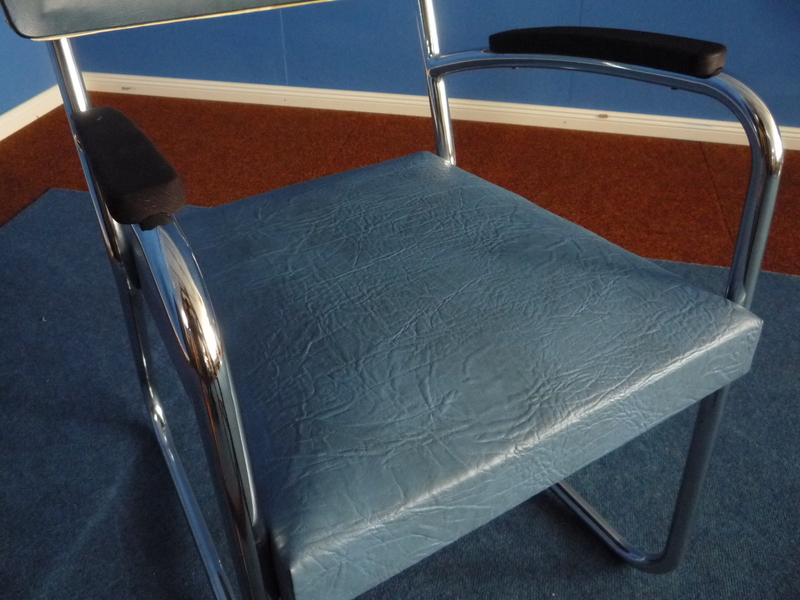 Seat was newly upholstered with matching Skai leather. Chrome looks very good. 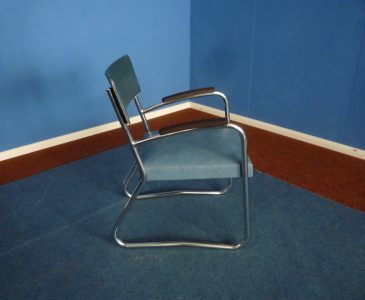 The chair is very comfortable and clean.